Bring it all together with the Blender Pro eye shadow brush from Sonia G. This versatile blending brush offers the perfect balance of softness and performance. Tightly bundled saikoho goat bristles softly diffuse color while gliding over the skin comfortably—no dragging, pulling, or scratching. Use Blender Pro to apply an all-over base color, define the crease, blend, or even highlight and contour smaller features. I got this brush with the full Pro eye set when it was first released, and this is my favorite eye shadow brush for the crease! It is soft, but firm. It blends out any shadow seamlessly. I grab for this brush every morning for any crease work. If you are looking for a fool-proof crease/blender brush, this is the one... especially great for transition colors! I knew this would sell-out as soon as it was released by itself! When it's back in stock, make sure you snag one of these beauties! I finally got my hands on the pro eye set, and of all the brushes in it this one is my favorite! It’s the softest brush I’ve ever experienced & it blends shadows like no other. 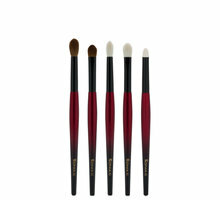 I have many different brushes ranging from high end to mid range, natural hair and synthetic. This brush can truly do it all! Perfect to lay down your transition, blend out crease color and build the outer v EFFORTLESSLY! If you are wanting to try a SG brush but can’t spring for the whole set I would say get this one for sure & perhaps the builder 3. You can def create any eye look with those 2 brushes alone!! 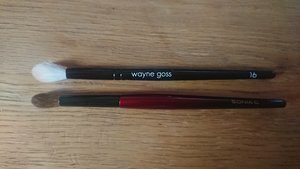 The worker pro is nice too, similar to Wayne Goss 18. I’m about to order the worker three, and then I’ll feel my collection is complete! The blending brush is so soft, it's got an almost floppy feel when blending but the belly of the brush is firm enough that it holds it's shape, nothing else I've used is quite like it. It applies a perfect wash of color and blends shadow like a dream. By far my favorite blending brush for applying shadow to my crease, it's an absolute joy to use! This brush was out of stock for a while and it was worth the wait. It is so soft and has a nice amount of give with being fluffy enough to blend out product in the crease. My favorite eye shadow brush is Mac 217 and this is right up there with that. I also own a lot of high end brushes, this is probably going to be my favorite. So glad I got it. 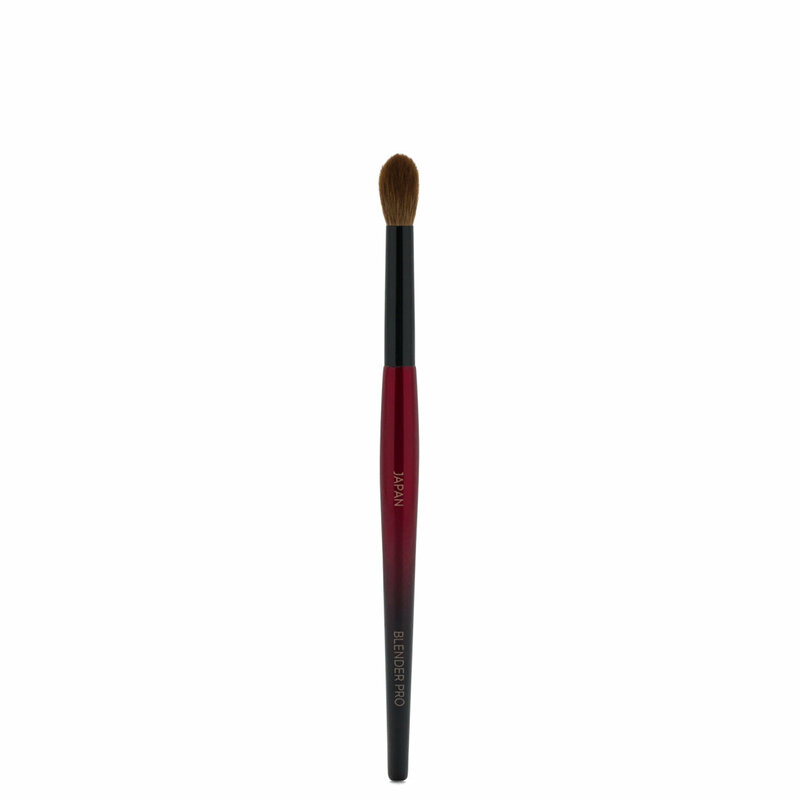 This is a very well made brush, and is good for placing shadow where you want it to go. I love that Sonia has made the handle slimmer and lighter - making it a more manageable tool. I like to use it in conjunction with the Wayne Goss 16 which I feel helps with softening the edges.